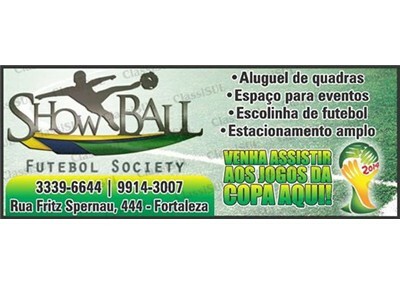 Show Ball Futebol Society offers football CLASSES for children from 5-15 years. We rent monthly or hourly indoor and outdoor courts with synthetic grass for conducting games, championship race, national tournament, goalkeeper training. We also offer a SPACE for events, corporate parties, birthdays, communion, bar tea and socializing. Escola de Futebol e Aluguel de Quadras?! É com a Show Ball Blumenau!